Pizza Hut UK launched their new jackfruit pizza on 1st January and sales have far exceeded expectations – with almost all of the initial outlay of 10,000 already selling out around the country. 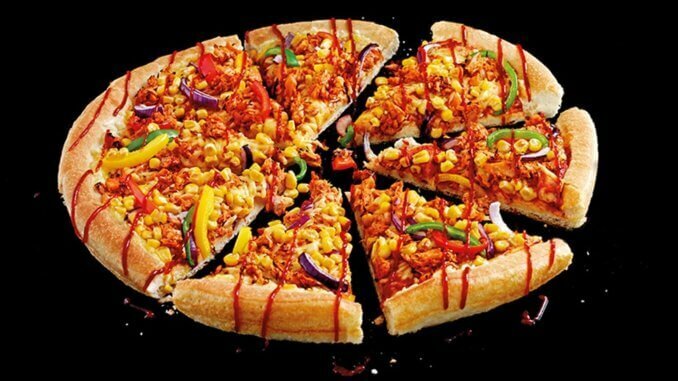 The Vegan ‘Jack ‘n’ Ch**se’ Pizza uses Violife vegan cheese, and is topped with sweetcorn, red onions, peppers and BBQ Jackfruit, also available with a gluten free base. The jackfruit pizza was added to menus to celebrate Veganuary, along with their already available vegan margherita and veggie styles.